Vettel: We had a good package in 2018, but not good enough. 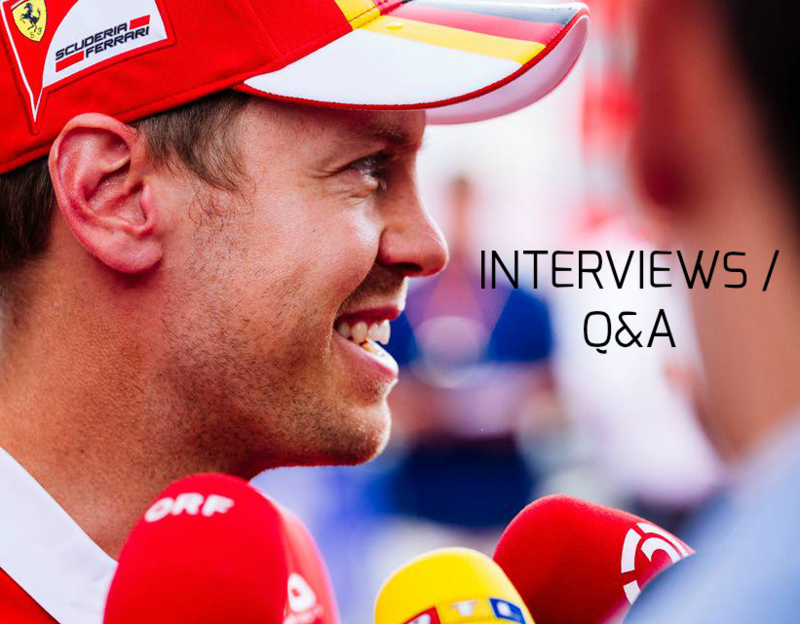 In a big interview with BLICK Sebastian Vettel talks about the 2018 season, Michael Schumacher, his past and current teammates and more. What question you can’t hear at the end of such a season with setbacks, bad luck and mishaps? Sebastian Vettel: I do not know that. I do not think much about the questions, but more about the answers. And – did you find answers? SV: Yes, but they stay internal. 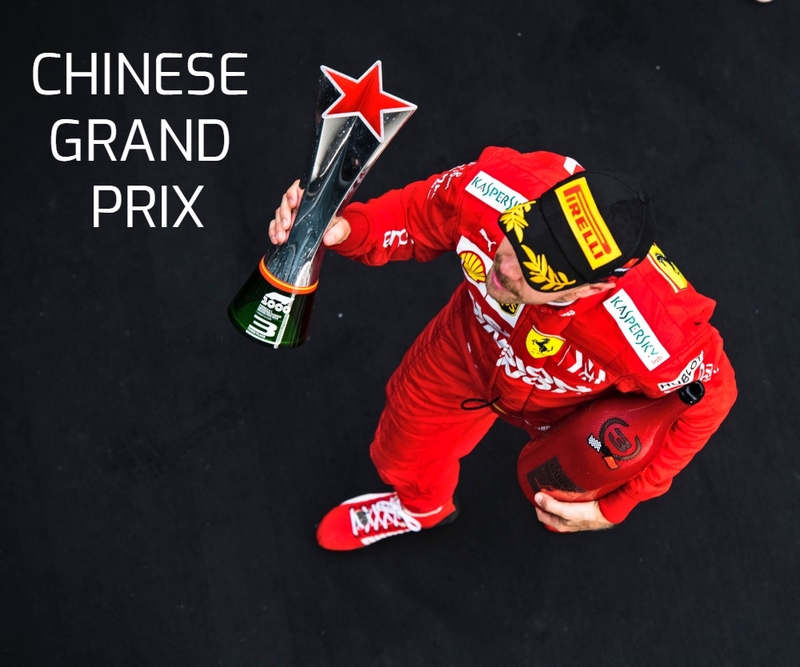 You are the first driver since 1982 (Alain Prost with Renault) to win the first two races of the season, but then not win the world championship. SV: At that time it was even more serious, because there were only 12 or 13 races. Today it’s 21. I think we had the chance to win even more races in the beginning. In the end, it didn’t happen. We had a good package, but the bottom line is that it was not good enough. Would you have won the title with Mercedes? SV: I do not know that. I have never sat in the Mercedes. And I did not win the title in the Ferrari. SV: There, we were at eye level with Mercedes. But then it became more difficult … Even though the people in Belgium still spoke of the red dominance, the internal perception was different. We were often not as strong as it seemed to be outwardly. But the speed was right. And that is in the end probably decisive? SV: Yes that’s true. But after the summer break we often missed speed. We have done something with our development steps but then went back to the booth after Monza. SV: Simply stated: We were at the limit and then of course you try to squeeze out even more somewhere. And on this matter, we made a mistake that we did not immediately perceive as a mistake. And then we just headed in the wrong direction. In the middle of the season you once said that you miss Michael Schumacher. He could certainly give you important tips for life outside Ferrari’s cockpit. SV: Yes, that still applies. Michael has spent many years in Maranello and his spirit keeps hovering over the team! With Michael I would now speak the language of the driver and not the engineer’s. That’s why talking with him would be extremely helpful. Because with Michael I always had a great relationship anyway. Yes, I miss him. Did you visit him once? How tedious has Formula 1 become for the drivers, since fuel has to be saved all the time and the tires are totally different from GP to GP? Michelin would never return to Formula 1 if they had to build a tyre on command that survived only a few laps. SV: I dont know. How should I say that now? I know what you are asking. I think today you often feel like you have to make everyone happy. And when you talk about this sport and how entertaining it is – there are many parameters to measure it. Here the overtaking maneuvers play the big role. But you never asked if they were authentic. Of course we had boring races, as there are boring football games. Nice answer, but how is it with the tyres and the lack of full throttle? SV: I do not think much of the artificial parameters, so let the tyres be artificially degraded. Or this DRS system like saving fuel – these are things from a driver’s point of view, which speak against the nature of the sport. The tennis players are also not imposed with how many topspin and how often they are allowed to beat the balls at what speed. Everything is over-regulated with us. With the goal to make everything better. Believe me, we would often prefer it all to go faster! What an impact does a roller coaster season actually have on the mind? SV: It depends. From the outside, only the results can be seen. But of course there are many things happening behind the scenes. In this respect, it was not an easy season. Yes, I know that it was not easy. Also from the mind. What is surprising is your loyalty to the team. In the last few years, you have been on several occasions in delicate situations on the team radio and after the races. 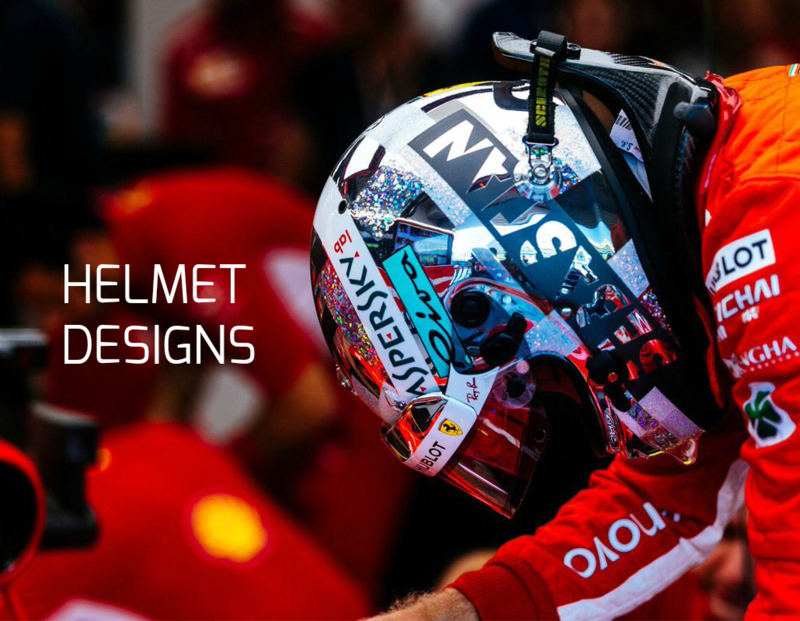 In 2018 we experienced the quietest Vettel in years. SV: If you are passionate about this sport, you have to expect the pendulum to break out on both sides. So there is not just the cheering. But you can not always win – and then in the first moment often emotions are coming out. Maybe I also learned from my mistakes from the past. Who actually pays the fine of 25,000 euros in Brazil (scales incident)? You or Ferrari? SV: Me. And that’s how I got my annual punishment. The bill has not come yet, but I’m pretty sure it’s coming. Oh, these are expensive cables. Your former teammate Kimi Raikkonen has recently published a book in which he revealed that he was once drunk 16 days straight. When can your fans read your own biography? SV: No idea. Contrary to the developments of our time, I do not feel the need to publish something like this. You should never say never, but a book about Vettel is not yet on my list. So no plan to join Twitter, Facebook or Instagram? SV: No, I’m probably the last Mohawk. Kimi now goes back to the roots of Sauber for two years. What would you trust in him? SV: I think that last season has given the team some encouragement. I know some people from my first GP in Indianapolis 2007, when I was able to get a championship point for Sauber. Kimi can be trusted to squeeze everything out of the car and ride in midfield. SV: Since we understand each other well privately, apart from the race tracks, not all situations were easy. I tried to beat him. He tried the same with me. Friendships hardly play a role in racing. Your new teammate Charles Leclerc brings a lot of talent and ambition to Maranello. There is certainly no red harmony in sight like it was with Kimi. SV: I do not know that yet. The harmony between me and Kimi meant that there were not unnecessary politics. We have always left each other the necessary space – and thus not give the team unnecessary worries. Everyone is different, and how Charles and I will tick together will become apparent. But he is a well-bred boy – and Ferrari is a huge chance for him. The Basic Law will not change this time either: everyone wants to beat each other. Lewis Hamilton recently said that his dream is to fly into space. Do you have such big dreams? SV: Yes, but they all take place on planet Earth. Yeah, if I could fly into space I might even have gone with Lewis. But we would have to be back in March for the start of the season in Melbourne in 2019. SV: We always talk a lot about travelling and recreation. I would like to travel to India for a few months. This country fascinates me. But there are other places that have impressed me as well. And I would like to share that joy with my family and friends. How hard is for you to say that Hamilton was the better driver than you this season? SV: Not at all. Really. Only one can win. Unfortunately, we did our mistakes, whether it was mine or the team’s, I would not like to separate that. I always stand in front of the team. On the bottom line, Mercedes was better, Lewis was the better driver, got more points and made fewer mistakes. As simple as that. SV: It makes me happy as a big fan to watch the them. It is going great at the moment. Many people can see Frankfurt in the Champions League. Well, let’s wait and see. SV: Beautiful. You can use this lake for many things. If you live ten kilometers away, you have paradise in front of you. I think I fell in love with a class trip to that lake. SV: Still ugly, but I think everyone got used to it now. SV: I am glad that we are allowed to live here (Switzerland), where there are these four seasons as well. Hopefully it will be cold enough for skiing in winter. SV: Could be the big surprise in 2019. For the audience, it would be nice if Red Bull would constantly find the pace. SV: It’s great for the kids. They are always thrilled when they are allowed to stand next to us. Nevertheless, I think that you should never have abolished the Grid Girls. SV: The new owners need some more time. We all look at what it takes for a better future. SV: I miss him. Also the backgammon games with him are always interesting. SV: Yeah, maybe he’ll be simulator driver with us now. SV: I’ve met him before and shook hands. But never talked much to him. He is the symbol of aesthetics and perfection in terms of his sport. Roger Federer is timeless. There are laws that apply to everyone, but he seems to be largely overriding them. He is just great. At 37. Would you still drive (till 37)? SV: I could, but only if I can still be the same level in six years. Let’s see. SV: What should I say now? (thinking for a long time) How quickly the campaign has gone out of fashion is shown by the fact that you have not heard so much about it for some time. Maybe everything was too exaggerated. But it remains a very serious and sensitive topic. You do not like talking about private matters. That’s why we still make the traditional private protocol. Name Sebastian Vettel, life partner Hanna, two children, not married and a dog. We heard something about chickens in your estates. SV: Well, the fox is on vacation with the chickens. That’s what we say to our children. Next Post Vettel: It was special to team up with Mick.